Thanks for mentioning me, Town and Country Gardening! 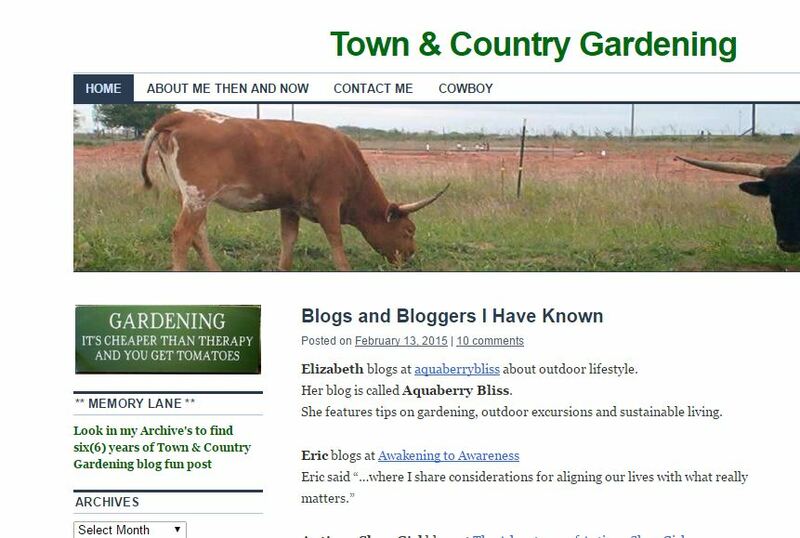 Stop by Town and Country Gardening, it’s a great blog! Also, visit my outdoor lifestyle blog, Aquaberry Bliss.